Following the new poster revealed yesterday, Open Road Films has released the first trailer for Red Dawn. 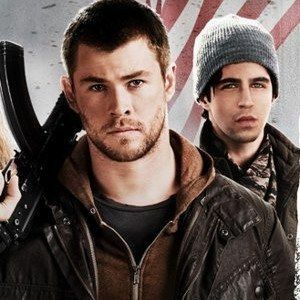 Chris Hemsworth, Josh Hutcherson, Josh Peck, Isabel Lucas, and Adrianne Palicki star as the new class of Wolverines in this remake about a group of friends who defend their turf against invading North Korean soldiers. Check out the first footage from this action-packed remake, directed by Dan Bradley.